Paducah Local Onsite Computer Repair, Network and Voice and Data Cabling Services. Computech Technology Services provides professional local onsite computer repair, network installation, configuration, and voice and data cabling services throughout Paducah and the entire McCracken County area. We also provide our pro onsite services to the outer cities of Mayfield, Benton, Murray, and Princeton. Our experienced, industry certified technicians travel to your location to perform full in depth computer repair services, network troubleshooting and repair, and professional low voltage inside wiring for voice and data networks. Whether you are having complex computer hardware or software issues, or need help with a slow and sluggish network, we have you covered. Give us a call today and find out why so many Western Kentucky businesses and residents rely on our pro onsite computer repair and network services to keep their technology up and running like brand new! (859) 780-3020. Paducah Local Professional Onsite Computer Repair Services. Computech Technology Services provides professional onsite computer repair services in Paducah and the entire Western Kentucky region. Our industry certified onsite computer repair technicians can troubleshoot and repair literally any kind of computer repair issue you may be experiencing. From complex hardware diagnostics and Windows software error resolution to internet connection problems and common PC virus, adware, and malware removal services, our pro onsite computer techs have you covered, quickly and professionally. Our technicians are mobile throughout the area, so there’s no need to lug your desktop or laptop PC into a repair shop to get it repaired, we come directly to you! Our friendly, courteous techs have the tools and experience to make your computer issues disappear, and get your PC back up and running like brand new. Our industry certified techs are also qualified and available to service business machines, printers, point of sale, and enterprise servers. Give us a call today and find out why we are the best choice in onsite computer PC services in the entire McCracken County and Western Kentucky area! (859) 780-3020. Paducah Kentucky’s Best Network Installation, Configuration, Repair, and Voice & Data Cabling Contractors. Computech technology Services provides top quality network services throughout Paducah and the Western Kentucky area. Our industry certified network technicians can perform full installation, configuration, and troubleshooting and repair for existing network devices. Whether you need a new router installed and configured, or you need troubleshooting for your wireless wifi network, our certified networking professionals have you covered. Our local cabling technicians can provide complete voice and data cabling services for your local business location in Paducah. Our techs can perform complete voice and data cable installation for your new network needs, and voice and data cable troubleshooting and repair for your existing network infrastructure. Whether you need a DMARC extension, voice or data jack repaired, or you need complete cabling throughout a new office space, we have your voice and data cabling needs covered 100%. Give us a call today and find out why we are the top choice premier network cabling and network services contractor in the entire Paducah area! (859) 780-3020. Paducah Complete Onsite Network Installation, Diagnose & Repair Services. Paducah Telecom PBX & VoIP Cabling & Installation Services. Paducah Low Voltage Voice and Data Cabling Specialists. Paducah Kentucky Point of Sale Network Diagnose & Repair Services. 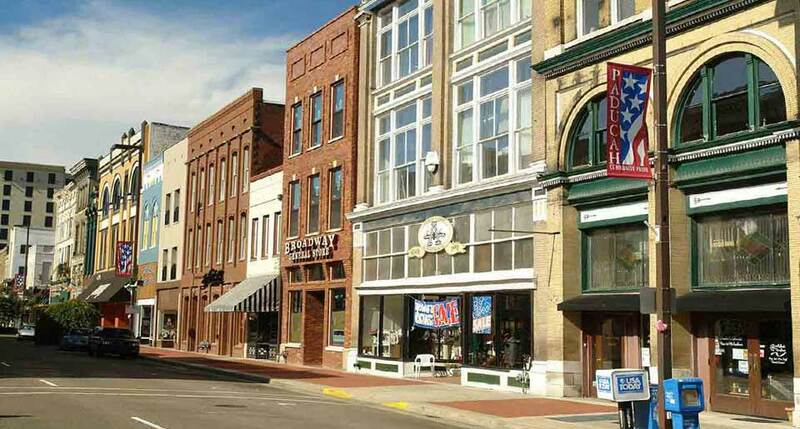 Paducah Kentucky Professional Onsite Tech Support & Help Desk Services for Commercial & Residential. Since 2008, Computech Technology Services has provided the highest quality onsite technology support services throughout the entire Western Kentucky area from Paducah to Princeton, Mayfield to Murray, and everywhere in between. Our professionally trained onsite technicians have the tools, knowledge and skill required to take care of any computer repair or network need you may have. Our technicians are industry certified, background checked, and mobile throughout the region, so there’s no waiting in line at a local computer repair or gadget shop for service or have to endure lengthy online delays to get you some “geek”, “guru” or “pc doctor” service call, our professional onsite technicians are available to come directly to you at your location for same day and next day services with a simple phone call to our office, quick, professional, and easy. Give us a call today and let us show you how painless, easy, and affordable full coverage computer repair and network services can be! (859) 780-3020.